Trump has cancelled the US delegation to the World Economic Forum in Davos, Switzerland, as the country remains frozen by the longest government shutdown in American history. "Out of consideration for the 800,000 great American workers not receiving pay and to ensure his team can assist as needed, President Trump has cancelled his Delegation's trip to the World Economic Forum in Davos, Switzerland," press secretary Sarah Sanders said in a statement late Thursday. But what is a US government shutdown and how bad is it hurting the government? Euronews answers your most pressing questions about the political deadlock in Washington. 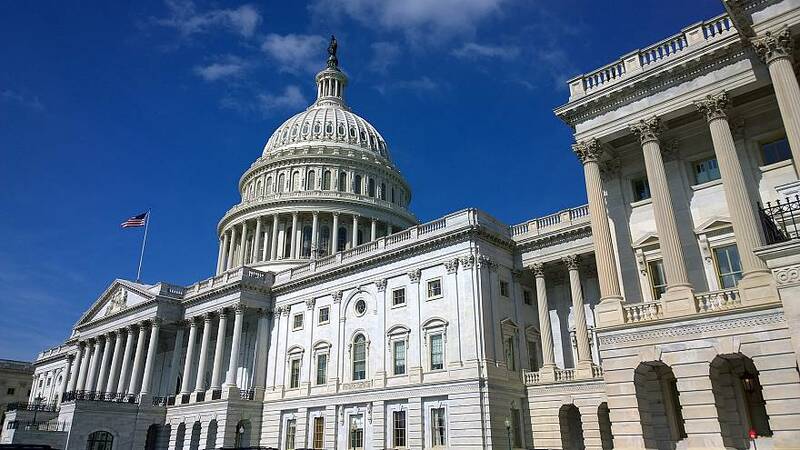 In US politics, a government shutdown occurs when Congress fails to pass a bill providing federal funds to government agencies or programmes. When this type of scenario occurs, US law dictates that the government begin a “shutdown” of the affected activities and give a temporary leave of absence to non-essential employees of these agencies. However, essential employees must continue to work without pay until the government reopens. These include medical professionals in veteran hospitals and transportation security administration officers who oversee airport security. How did this shutdown start? After a deadlock between the US Congress and President Donald Trump over the funding of the US-Mexico border, large portions of the government lost their funding and were forced to close, beginning a partial government shutdown on December 22, 2018. This is the longest US government shutdown in history. Which government agencies were affected? The government agencies that were primarily affected were Homeland Security, Transportation, Commerce, Interior, Agriculture, Housing and Urban Development and Justice. NASA and the US tax agency, the IRS, will also have to put most of their employees on temporary leave. Who has to work without pay? Correctional officers, FBI agents, US Marshals, TSA employees, Border Patrol officers, Coast Guard employees, Forest Service firefighters and Weather Service forecasters are all expected to continue working without pay. No, because Social Security has its own funding source and will continue to issue benefits. That means that families who receive food stamps or health benefits will not be affected. Nobody knows for sure who will give in first, Trump or Congress. But here are a few possibilities of how the shutdown might end. 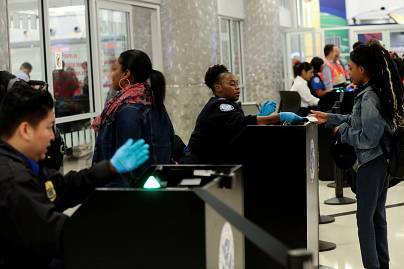 Airport security staff quitting their jobs, food safety at play, insecure government websites, these are a few things that might make the US president think over his decision to keep hanging on. It might be possible for Trump and Congress to resolve the shutdown. But for now, it seems highly unlikely. The Democrat-led House passed short-term spending bills that would end the shutdown and reopen the government but it was barred by Republican Senate Majority Leader Mitch McConnell who refused to allow a floor to vote on them, citing the lack of support from the White House. During the week, a small group of Senate Republican sought support for a plan to get Trump to back the short-term funding bill in exchange for a debate on border security but this went nowhere. According to a leaked letter by Axios, senators from both parties drafted a letter to Trump asking for a short-term spending bill. In it, they ask Trump to pause the shutdown to "to give Congress time to develop and vote on a bipartisan agreement." Trump declares a national emergency, which is usually kept for times of crises when the White House needs to bypass Congress to get funds quickly.